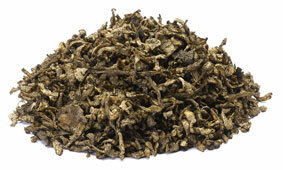 One of the most popular feed types for cattle, pigs, sheep and horses is sugar beet pellets. These are manufactured from sugar beet pulp after the sugar has been extracted. Measuring the moisture during the production of these pellets particularly during the drying process is essential. The material leaving the dryer must be at the correct moisture level so that it can be easily pelletized. If it is too wet it can cause the machinery to jam or the pellets to go mouldy during storage. If the pellets are too dry this will result in brittle pellets which will crumble and be unusable. The drying process is extremely energy intensive and therefore costly. However the installation of a moisture sensor at the output of the dryer is a simple and cost effective way of making savings to control the moisture in the sugar beet during processing. An automated system using microwave sensors can easily measure the moisture to an accuracy of +/- 0.5% in all of the material as it leaves the dryer. This provides instant, real time information to the control system allowing the temperature / drying time / speed through the dryer to be adjusted accordingly, ensuring the exiting material is always at the correct moisture level ready for the pelletizer or for storage. Hydronix microwave moisture sensors are easy to install and can be integrated into either new or existing systems. There are two main installation methods, the first is for applications that have a consistent flow rate where the screw conveyor is always full. The second is for installations that have a variable flow rate where the screw may be only partially full. This type of installation may require the use of a bypass system to ensure a consistent material compaction and flow across the sensor. 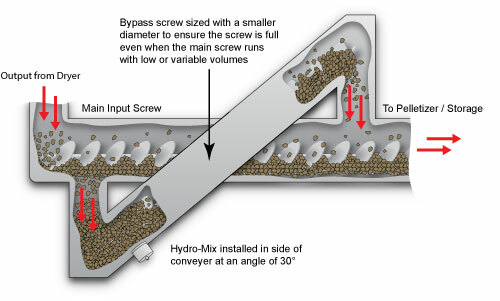 For applications that use a screw conveyor to move the material through the process, Hydronix would recommend the installation of a Hydro-Mix XT moisture sensor. The Hydro-Mix XT is flush mounted so can be easily installed into the conveyor or bypass system without impeding the flow of material. The Hydronix digital measurement technique ensures that the sensor is very stable and that the measurement is linear. This means that the sensor only needs to be calibrated once during the sensor installation and then checked as part of the normal quality assurance programme carried out by the producer.